Sutton Cheney Parish Council is the local authority responsible for providing local services to Sutton Cheney, Dadlington and Shenton villages and we strive to make them a better place to live, work and play. Our website includes a range of information about how we conduct ourselves and what we do. Please use the side navigation bar to browse the site to access information. If you can't find the information you require then please contact us at suttoncheneypc@gmail.com or by phoning 01455 699618. Alternatively, please use our online contact form and we will be in contact shortly. 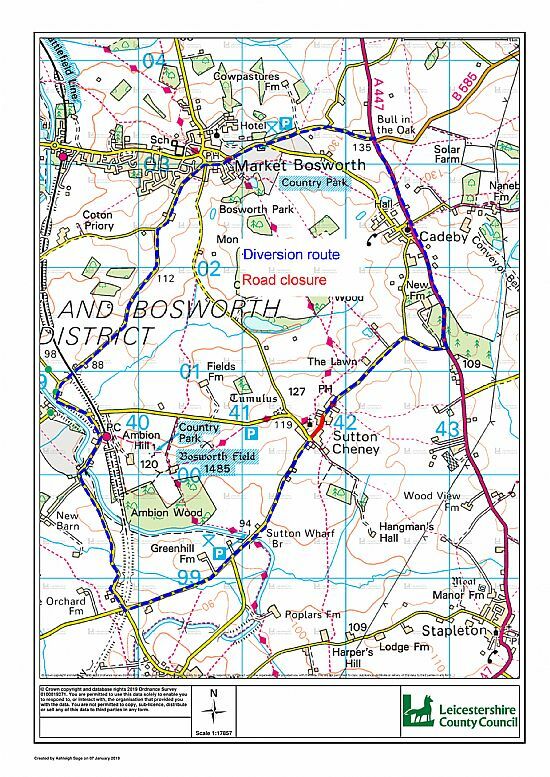 A temporary road closure and parking restriction is required on Main Street from the junction with Bosworth Road to approx. Laurel Cottage from the 21/02/2019 to 25/02/2019. The Temporary Traffic Regulation Order will be implemented for public safety for Leicestershire County Council to complete carriageway resurfacing. Leicestershire County Council apologises for any inconvenience caused during these works.